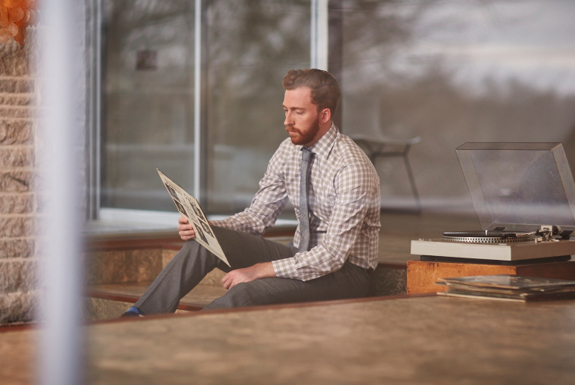 Virginia’s English Shirt Makers | Ledbury | A Continuous Lean. Creativity is spurred by uncertainty. That’s the Ledbury way. In 2007, as the international economy teetered on total collapse, friends Paul Trible and Paul Watson found themselves in a precarious position. At the time the pair was well on their way to receiving masters degrees in business from the University of Oxford, but they began to worry that their chosen careers might be over before they even began. So, the two Pauls hit the reset button, finding the inspiration for their next move in their mutual admiration of English tailoring, as they traded in stocks for shirts. Paul and Paul went straight to the source – London’s legendary Jermyn Street, where they worked they way into an apprenticeship under one of the block’s storied shirt makers. For about a year the duo studied and sewed their way into a shirt production process, until they were ready to venture out on their own. In a fitting nod to their infatuation with British craftsmanship, Paul squared founded their shirt brand in a Notting Hill pub, pulling their name from the street sign which read Ledbury Road. 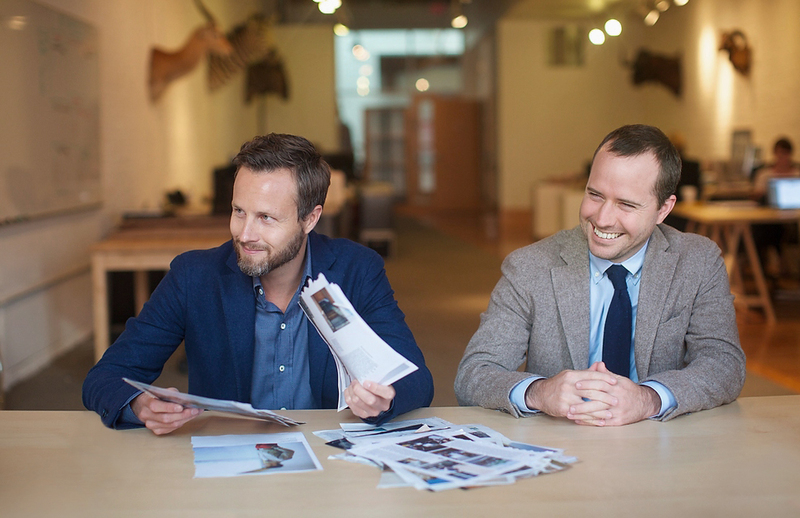 Leaving the United Kingdom behind, team Ledbury returned to their southern roots as they set up shop in Richmond, Virginia. From a converted tobacco warehouse, which serves as both a head office and a retail space for the brand, Ledbury launched their first collection in 2009. The education that The Pauls received on Jermyn Street can be seen in every stitch and seam of a Ledbury shirt. The fit is carefully considered, particularly around the waist and torso where there’s less fabric to create a more streamlined and flattering silhouette. Ledbury’s collars stand out because they use a unique canvas interlining that is fused from the outside to give them a more solid shape and character, especially when worn without a tie. Finally, there’s the mother of pearl buttons, which remind you of Ledbury’s dedication to excellence every time you button up. Of course, Trible and Watson recognized that without a high quality fabric, a shirt will always be sub par, no matter how meticulous the production is. As a result, Ledbury’s fabrics are pulled from some of Italy’s most illustrious mills, giving them a superior look and feel. This fastidious approach to choosing fabrics has also inspired one of Ledbury’s most intriguing collections, their â€œShort Run Shirts.â€ Each month, for a limited time only, Ledbury offers a series of button-ups that are crafted in limited numbers using a selection of rare fabrics, adding an air of exclusivity to their collections. 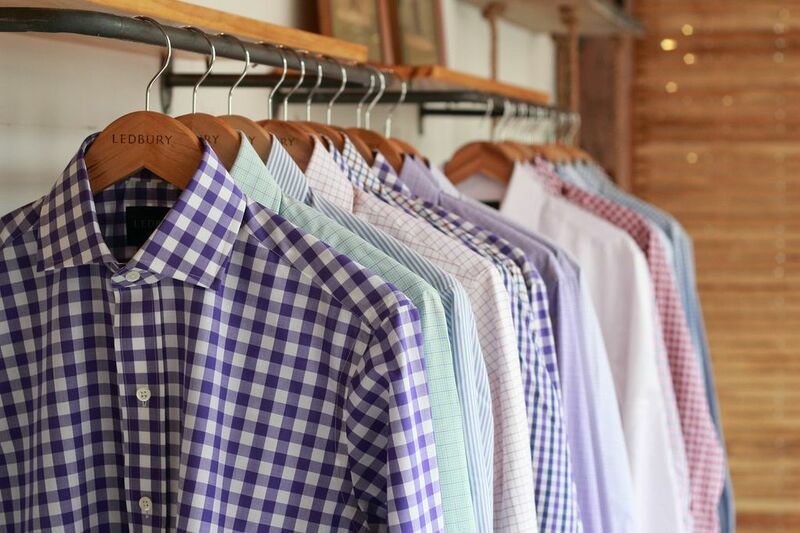 Aside from Ledbury’s shirts, which are available in their classic model, as well as a more trimmed down, slim fit, the brand also sells a wide array of other products to add to their customer’s closets. 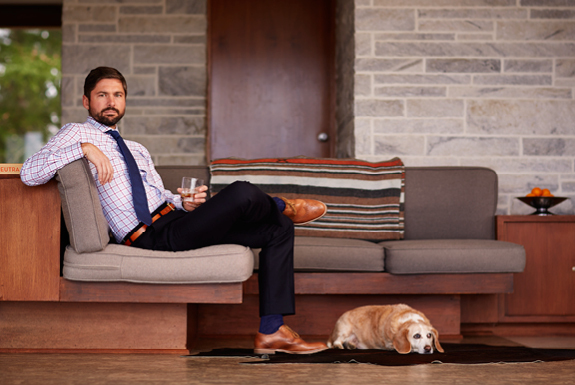 As a natural addition to their shirts, Ledbury produces a series of accessories, including an English bridle leather belt, locally made cufflinks, and a collection of ties that range from the conservative to the bold and also produced from some gorgeous Italian fabrics. 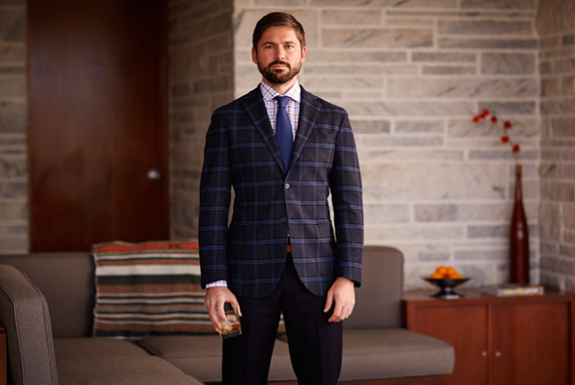 Additionally their line of blazers and sport coats are constructed in a thoughtfully tailored fit from high-caliber Italian wools, and feature details such as patch pockets and striking windowpane patterns. 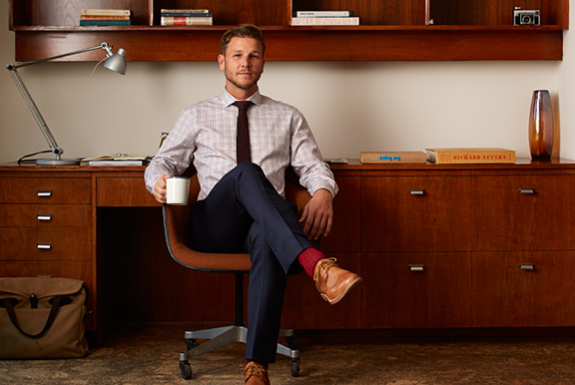 Ledbury also offers a considerable collection of sweaters, from cashmere v-necks, to shawl collared cable knits, all of which would pair perfectly with any of the brand’s signature shirts. For The Pauls what began as a back-up plan has blossomed into an empire of Italian twills, patch pockets, and repp ties, and so four years and almost 100,000 shirts later, it’s safe to say that buying into their dream is the best investment these former financiers ever made. My favorite shirtmaker. These guys know what they’re doing. I’m a fan. Their slim style fits me perfect, I have half a dozen in my closet including a couple casual ones. Ledbury shirts are made in Poland. I was reading on their website, they obtain their fabric from Italy and then they are woven in a small European country, I thought it was interesting that they did not mention the country. Obviously, if it was made in Italy, England or France, they would have published that. -Jack A.